dnes od šesti večer moskevského času začne DCS Mid-Winter Sale! a potrvá to tři dny..
Kompletní seznam oprav si můžete přečíst níže. • Update to the sound system and sounds of variious aircraft. • Excessive delay of AI aircraft launching follow-on air-to-air missiles shots have been addressed. • Ejected pilot now has the correct national flag instead neutral. • Implemented radio frequencies for the VVS (USSR) 1940th. • S-24 rockets will now use the APU-68 launcher on all aircraft that uses this rocket. • Fixed the crash when disembarked troops would be killed by explosions near it. • WWII aircraft. Adjusted shaking on the ground. • WWII aircraft. Fixed pilot not dying of oxygen starvation. • Su-24MR. Corrected payloads and hardpoints. • Crash with accidentally hit [RSHIFT+\] ("Communications: Receive Mode") is fixed. • Multiplayer. Incorrect airbase names that appear on the F10 map on the info panel after connecting to the server a second time is fixed. • Corrected German Flight Manual. • Added previous waypoint selection with [LAlt + '~']. • Radar will not tracking the locked target with ECM even through mountains. • Su-27. Landing lights will now reflect off ground surfaces. • Su-27. Corrected speed indication based on wind. • Su-27. Longitudinal acceleration indicator on the HUD is fixed. • Su-27 The Ultimate Argument campaign. Fixed several bugs. • F-15C. Adding missing cockpit lights and switch animations according to electrical power status. • F-15C. AAR Tanker will now fill to 100%. • F-15C. ADI and HYDRAULIC control lamps will now not light when the battery switch is set to off. • F-15C. Automatic rudder trim based on wind is fixed. • F-15C. FLOOD mode will no longer provide a lock indication in MP. • Different engine sounds for ground units has been introduced. • Ships will now follow commanded routes. • Update the German Flight Manual. • English Flight Manual corrected. • Flight dynamics and the undercarriage have been tuned. Cockpit dashboard shaking has also been tweaked. • Several skin have been corrected. • Corrected propeller cross-section semi-transparent shape when rotating. • Corrected the Level Of Detail (LOD) models. • Corrected the pilot bail out animation. • Fixed oxygen pressure gauge behavior. • Fixed landing flaps analog axis scale. • Adjusted fuel level warning level and minor syntax changes. • Introduced weapon fusing parameters. • Expanded engine start routine, minor syntax changes, removed some obsolete methods, and fine tuned the DB 605DB motor to specs. • Fixed reversed radiator mode command. 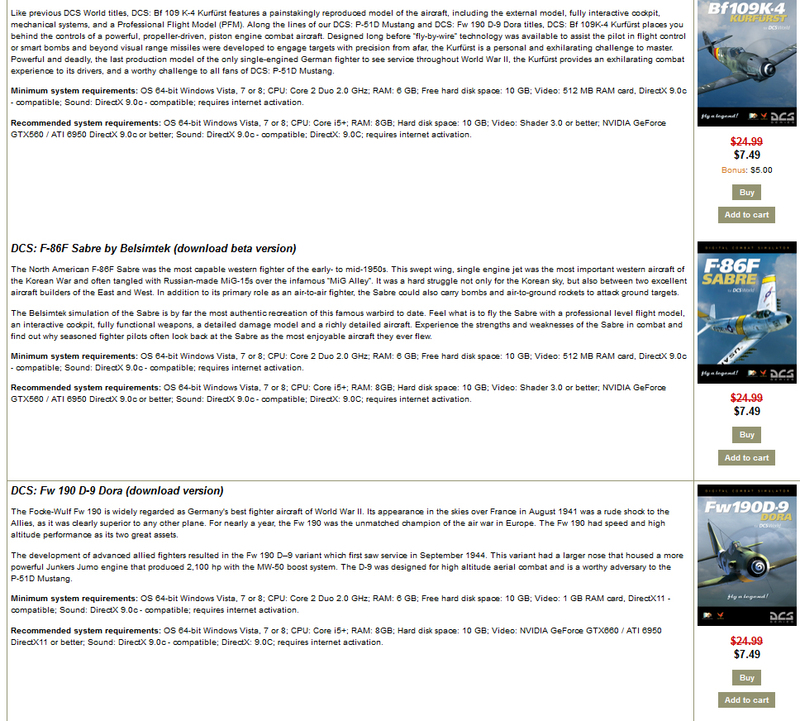 • Bf-109 now available for all countries in ME. • Too high oil pressure corrected. • Left and right parts of engine cover can now receive damage. • Corrected several quick start and single missions. • Flaps will no longer move if there is no power. • Fixed sound of raising flaps continuing if the power is off. • Fixed trimmers electric drive behavior when appropriate circuit breaker was switched off with the drive operating. • Friction coefficient was added to electric drive. Calculation were made more stable. • Worn type gear (irreversible) was added to electric drive logic. • Flaps and trimmers now have worn gear type. • Adjusted dynamics for gear, flaps and trimmers. • Left and right parts of engine cover can now have damage. • Added engine stall sound. • In-cockpit turbulence vibration sound adjusted. • Added new cockpit depressurization sound. • Corrected pilot shape and parachute. • Reduced wing nose-up moment at transonic speeds. • ARN-6 frequency band will no longer be switchable without electrical power. • The wrong fuel quantity in the Simulator Rearm panel has been eliminated. • "Ghost weapon still on the pylons" bug has been fixed. • Fixed nose cone with PPS engine surge. • Separated main and aux Pitot tube freezing algorithms. • Engine sound if FORS/MAX switch is used has been fixed. • Improved oxygen use timing. • Precision improvement to RSBN/PRMG NAV data (location/direction). • Fixed radar lights in shut-down/out-of-order states. • Fixed radar test mode correct reset. • Improved ASP, gun, A-A mode. • Improved engine air-temperature dependency. • Flight model refined improvements, especially in supercritical regimes. • Engine over-speed limit removed in simulation mode, engine damage simulated. • Fuselage over-speed drag limit removed in simulation mode. • Ground steering (taxi) more restrictive in simulation mode. 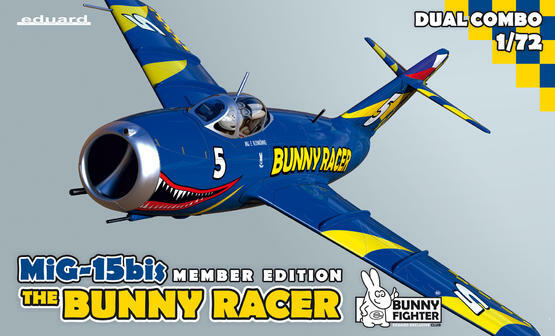 TADY si stáhněte skin Bunny Racera. 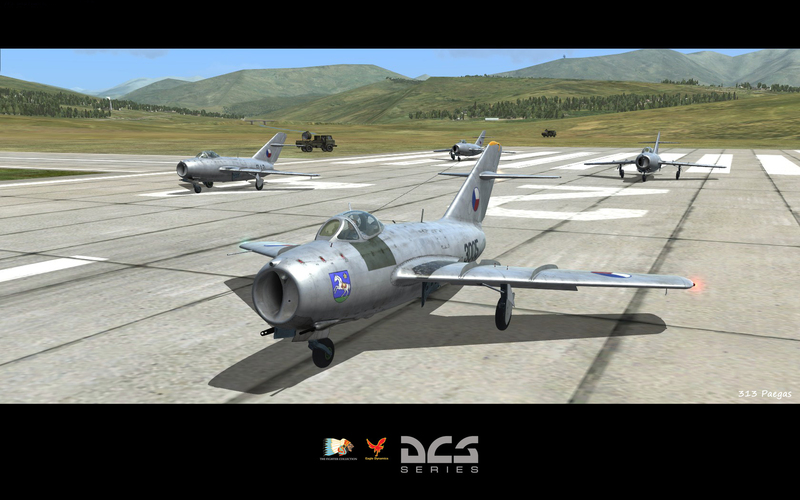 DCS World 1.2.15 and MiG-15bis! 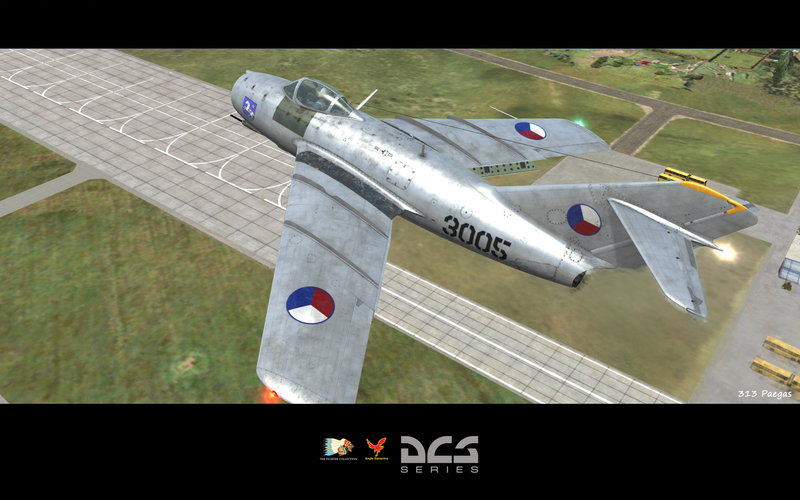 You can download DCS World 1.2.15 using the automatic updater or download the installer files here. 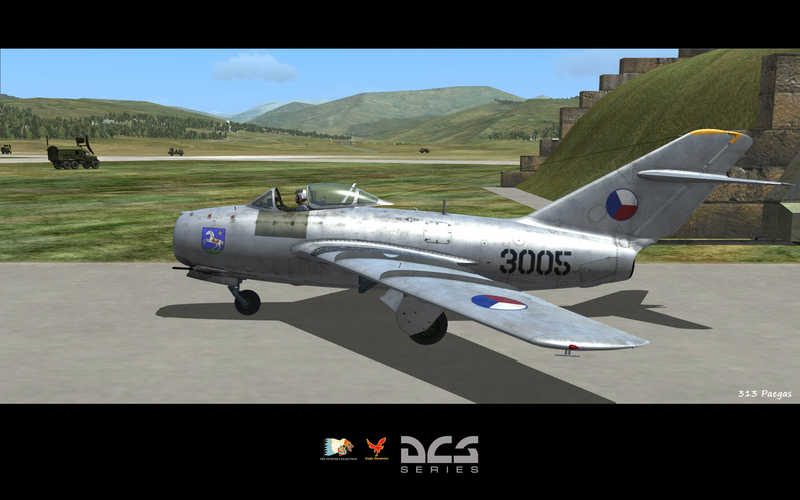 DCS: MiG-15bis can be purchased from DCS E-shop. 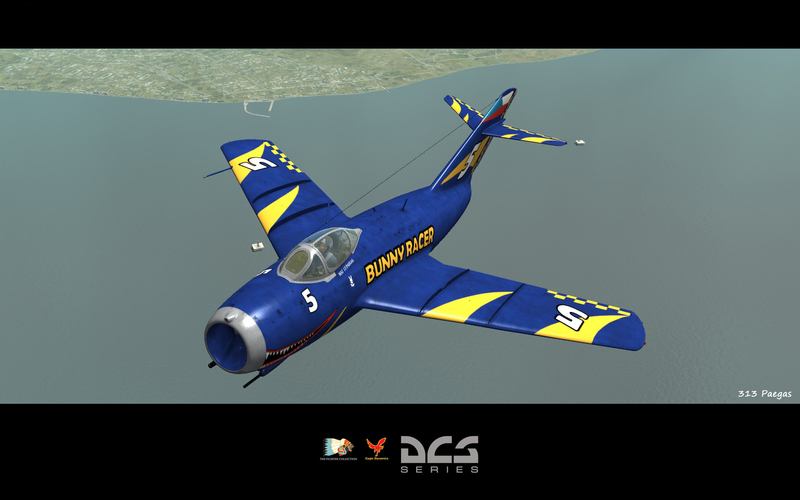 We are working closely with VEAO Simulations on preparing the Hawk for sale on the DCS e-shop. There have been a few remaining bugs that need to be resolved, but once complete, the module will be available from the DCS e-shop. In the meantime, you can download the VEAO installer here. Hoši fungují Vám ty moduly koupené skrze VPN? Nebo člověk musí být připojen přes VPN i když to chce spustit a lítat? Dotaz, existuje nejaky jednoduchy zpusob jak vytahnout registracni udaje z registru ve Win7, aby clovek nemusel hned vyplytvat pocet moznych instalovani modulu, kdyz napr. reinstaluje system? Spring is here and it’s time to reward yourself with some new DCS modules at great savings! Take advantage of this sale that runs from Thursday April 9th at 12:00 Moscow time to Monday April 13th at 12:00 Moscow time.